Question: I tend to stay active cleaning and doing work in the yard, but I have steadily gained weight during the past year. I need to get this weight off and keep it off. I’m not getting any younger. Is there any other way to lose weight without a gym? Answer: Of course, there are multiple ways to shed unwanted pounds without joining a gym. Being active is a huge asset that can assist you in losing unwanted pounds. 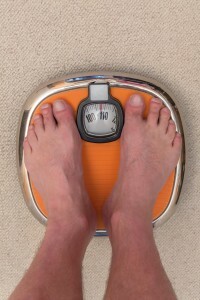 However, being active, as you have discovered, is not going to prevent weight gain nor will it work off excess weight. It is simply a beginning point. Just about any activity other than sitting or lying down could be defined as “moderately active.” Being highly active would include pushing a lawn mower, digging, picking up loads and carrying them, splitting wood without a hydraulic wood splitter — and each of these do burn a good deal of calories. Working out is going to the gym and going through the routine at a light to moderate pace that slightly elevates your heart rate. For instance, if you’re capable of carrying on a conversation, reading or can watch television, you’re working out. Training requires you to engage your mind and your will, which will remove you from a comfortable level of existence. Training means you’re incapable of carrying on conversation, you’re breathing heavily and you’re heart is pounding. A gym is not a necessity for training intensity. If you have a concrete goal and are willing to challenge yourself, training can be as simple as doing 10 push-ups, 20 sit-ups, 20 squats, walking or running up your staircase five times and repeating that entire sequence for 20 minutes. Your short-term goal the first time you do it would be to finish standing up. After that, your goal is to complete more rounds than you did the previous time. Make your challenge whatever you want it to be and become comfortable being uncomfortable. The weight will come off.